We know leaving your four-legged friends at home can be ruff. As the growing trend to travel with your pooch continues, Grapevine is emerging as one of the top dogs among pet-friendly travel destinations. With dog-friendly accommodations and restaurants, canine-welcoming cafes, dog parks and even pet-friendly events and festivals, Grapevine is the perfect spot for pets and their families. 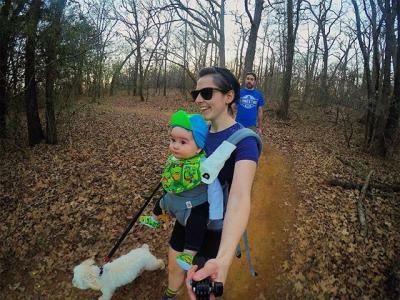 Lake Grapevine, home to over 8,000 acres of outdoor recreation, is the perfect place for you and fido to explore the great outdoors. Enjoy the lush trails before unwinding for a picnic under one of the many shaded pavilions. Your pup can take a refreshing dip in the water and splash around for even more fun! A real treat for pups, the Grapevine Parks and Recreation Department is currently in the design phase for an all new dog park that is slated to open in the spring of 2018. The new 9-acre dog park will be located at Bear Creek Park and include amenities such as a splash pad area, agility course, wash down station, all weather area, pavilion, restrooms for two-legged visitors and separate paddocks for small and large breed dogs. 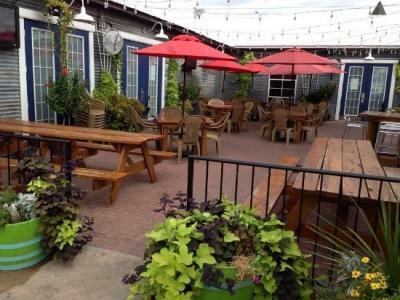 Many local Grapevine restaurants and cafes offers pet-friendly patios, such as Main Street Bistro & Bakery, Chill Sports Bar and Grill, Farina’s Winery & Café, AJ’s on Main, Napoli’s Italian Café (lunch only), Flip’s Patio Grill, Lucy’s Lot and more! Have a sweet tooth? Head to JudyPie on Main Street, a pet-friendly pie shop offering you made from scratch pies. They offer free biscuits for pups! While exploring Grapevine’s Urban Wine Trail, stop by Delaney Vineyards and sip your glass of wine with your dog by your side on their patio. Then visit Homestead Winery, which allows furry friends in their outdoor wine garden. If you are a craft brew lover, opt for Grapevine Craft Brewery and enjoy their beer garden with your dog. 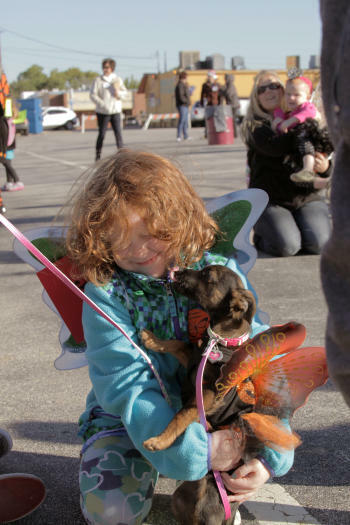 Looking to parade your pooch around town? To celebrate royal events, the British Emporium hosts corgi meet ups outside of their shop before parading down Historic Main Street. In the fall, celebrate the migration of the monarch butterfly at Butterfly Flutterby. 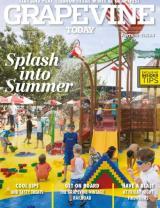 Pets are welcome at the Grapevine Botanical Gardens and even encouraged to dress up! 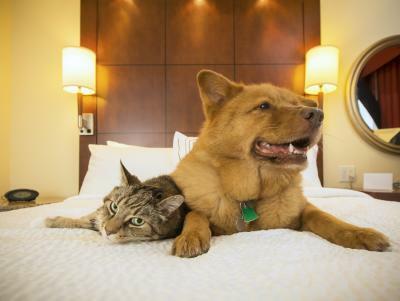 Plan your pawesome vacation with a stay at one of our many pet-friendly accommodations: Embassy Suites, Homewood Suites, Residence Inn, Hilton DFW Lakes and Super 8. 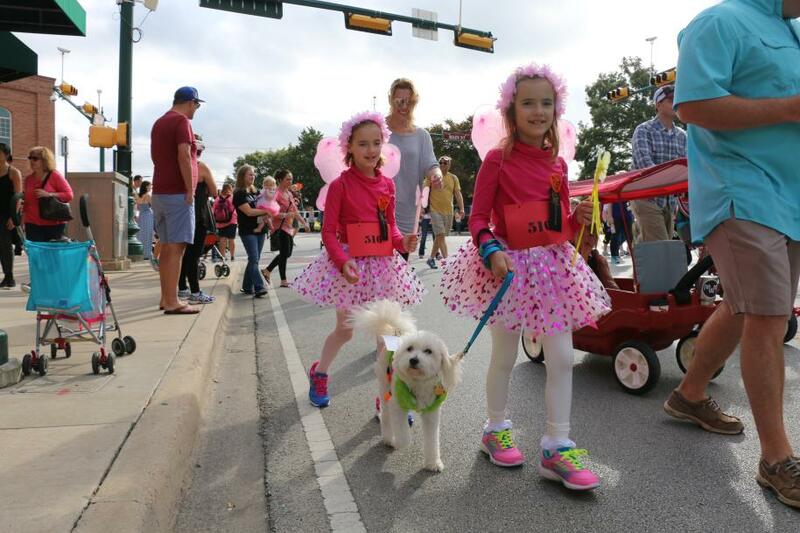 So bring the whole family - even the furriest members- for a trip to experience all the pet-friendly offerings in Grapevine.